Passages to the Past: Lady Helena Investigates Blog Tour Wrap Up! Happy Friyay, dear readers! Today is the last day of Jane Steen's Lady Helena Investigates Blog Tour and today I am sharing some of the reviews and links from the tour. It's also the last day for the giveaway, so be sure to enter to win a copy! "I really enjoyed Lady Helena Investigates – a lovely example of a light, entertaining historical mystery." "This book was, simply put, utterly brilliant. The characters are full of depth and wonderfully fleshed out, the scenes and circumstances set up beautifully. I loved watching the progression of Helena’s character. Watching the story unfold, getting to know the characters and enjoying the obvious writing skills of Jane Steen is why I am heartily recommending this book and eagerly awaiting the next installment of the series." "I really enjoyed the book; it’s a well-flowing easy read and I thought Helena made an excellent protagonist, well-developed and believable. Throughout the narrative, she shows herself to be extremely kind and keen to do good, but never comes across as pious or sanctimonious. Jane Steen has done a cracking job; I felt emotionally invested in Helena’s story and was glad to see her get some closure towards the end. The book is set up nicely for a sequel and I look forward to seeing Helena continue to come into her own, as well as learning more about the mysterious Monsieur Fortier." 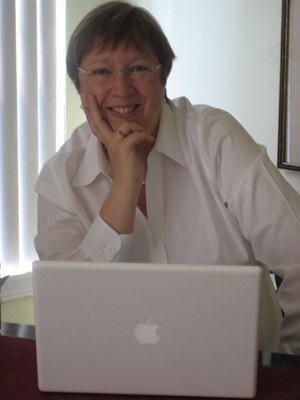 "I love historical fiction and especially enjoy historical mysteries. I found Lady Helena Investigates to be an engrossing novel from the first pages. Lady Helena is an intelligent, independent thinking woman in early 1880's England. I really enjoyed seeing her thought process and watching her emerging independence over the course of this novel. The mystery was well done and kept me guessing! I am glad to read that this is the first in a new series, because I already look forward to reading more." "I loved Helena. I will definitely read the next book in this series." "I haven't enjoyed historical fiction this much in years. From the beginning, Steen paints the era and imagery of the English countryside in beautiful shades, yet with air of mystery. I found it easy to step into Lady Helena's heeled boots as she suffers through the death of her husband, due to a tragic accident. Jane Steen is a master storyteller, weaving the heartaches of grief with familial affairs and new relationships in a way which truly transcends time. Lady Helena Investigates challenges conventional period tropes while transporting the reader to a time as complex as ours, yet rife with the nostalgia modern audiences crave. Beautiful language and sensual prose, Jane Steen has gifted us with a modern classic." "Engrossing historical fiction that really stays with the characters (who are well-crafted) and doesn't go for the obvious cliches. I loved Nell, the protagonist, and so many others...Martin and Tess especially. I admit I kind of wanted it to end a certain way, but the ending the author chose was a braver one for Nell, and more true to who she'd been throughout the novel. The historical backdrop was interesting, but it was the character work that really drew me in, and the mystery." Thanks to all the bloggers for an excellent tour. 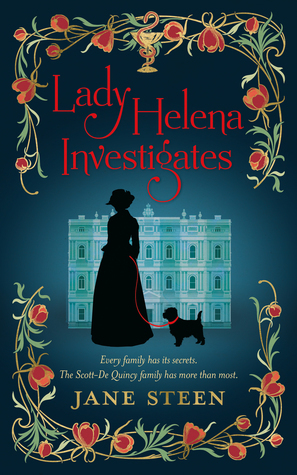 I loved reading your reviews and seeing Lady Helena Investigates pop up all over the place!